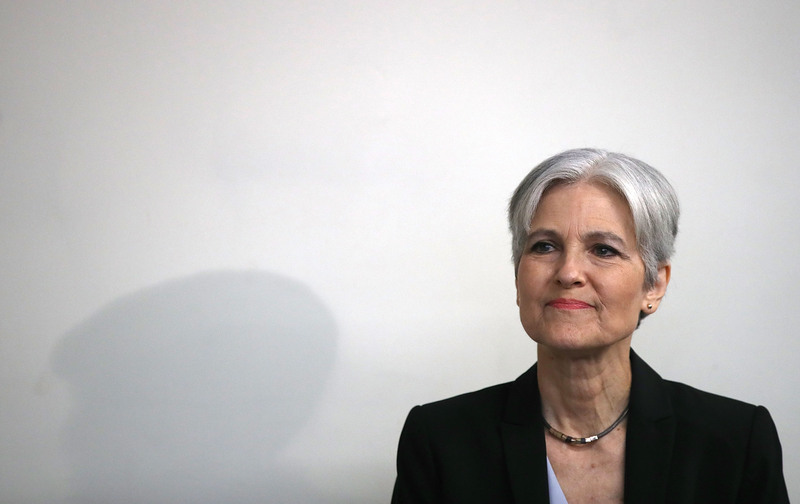 Green Party candidate Jill Stein is attempting to fund recounts of the presidential results in three states: Wisconsin, Michigan and Pennsylvania. Donald Trump won all of them by relatively narrow margins on election day, and if the results were flipped in all three — a possible but exceedingly unlikely outcome — Hillary Clinton would win the electoral college, and the presidency. The first state in Stein’s crosshairs is Wisconsin, and she’s already filed a petition to fund a recount with the state’s elections commission. But can Wisconsin reject Jill Stein’s recount request? No. According to Wisconsin law, the state must conduct a recount if a candidate requests one and is able to pay for it, and this has already happened. In addition to Stein, independent presidential Rocky de la Fuente also requested a recount in Wisconsin, and Stein has raised more than enough money to fund it. So, it’s going to happen. You don’t have to take my word for it: The Wisconsin Elections Commission confirmed on Friday that the recount will indeed take place. While it’s unclear precisely how much it’s going to cost, the initiative will most likely clock in at somewhere between $1 and 2 million, based on the cost of previous recounts in the state. Donald Trump won Wisconsin by a little over 20,000 votes on election day, a margin of victory of around .06 percent. If a recount determined that Clinton actually won the state, Trump would lose Wisconsin's 10 electoral votes to Clinton. He’d still be president, however, because Clinton lost the electoral college by 38 electoral votes. If Michigan and Pennsylvania were to also flip their results, however, Clinton would have enough electoral votes to become president. Michigan is the next state on Stein’s list: She is expected to file a petition for a recount there between Monday afternoon, when the state officially certifies its results, and Wednesday, the deadline to file recount requests with the Michigan Secretary of State. Although there is a faint possibility that these efforts will change the results of the election, they probably won’t. Trump won around 100,000 more votes than Clinton in Wisconsin, Michigan and Pennsylvania collectively, including over 64,000 votes in Pennsylvania alone. It’s very unlikely that all of these votes will flip to Clinton in a recount: According to FiveThirtyEight, no recount in the past fifteen years has resulted in more than 1,247 votes switching from one candidate to another. Still, there’s no harm in conducting a second count of the votes in these three key states — and given what a bizarre year 2016 has been in total, it's too late to rule anything out for certain.